Ernie is owned by Megan Bennett (Lykadyce Dalmatians) and joined the show team at Neilros Dalmatians in early 2016, he was very much a handful and had stepped into the show ring only a few times. While holidaying in Tasmania he did very well and gained his Australian Championship title in 3 short months, winning Best in Group, Runner-up in Group and mutiple Class in Group and Show awards. 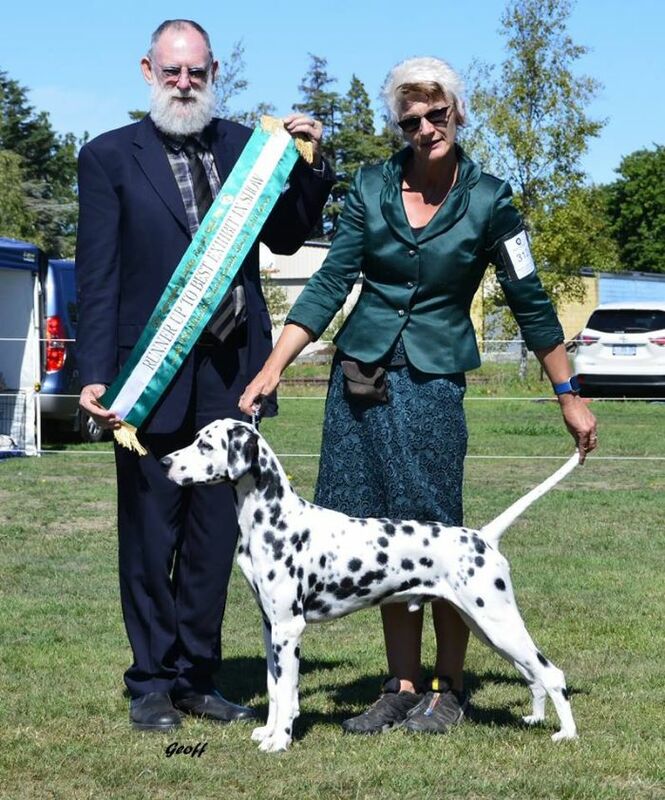 The highlight of his journey in Tasmania was being awarded Runner-Up Best in Show under Dalmatian Specialist Mr D Staines. ​Ernie returned to his owner Megan an sadly passed away from snake bite in early 2017.